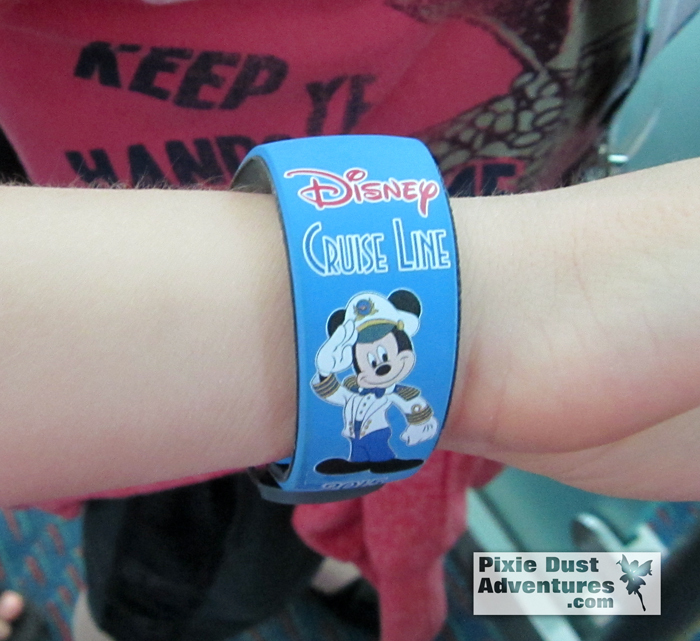 HomeNew Disney Infinity Content announced for the Disney Cruise Line Bands. New Disney Infinity Content announced for the Disney Cruise Line Bands. Among the Disney Infinity news, at the D23 Expo this year, was an announcement about being able to bring home exclusive Disney Infinity content with you after sailing on the remodeled Disney Dream Ship. The Disney Dream will undergo Dry Dock from Oct 4th – Oct 24th 2015. When the ships sails this November it will include an all new Disney Infinity space and toy box elements as part of the kids club areas. 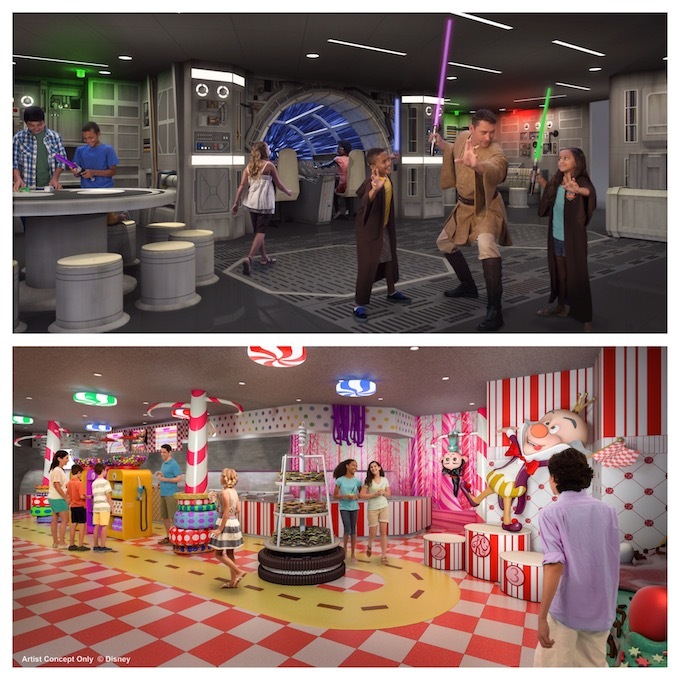 This space will offer Disney Infinity 3.0 kiosks along with interactive experiences. The Disney Dream ship, currently offers 3 to 4 night Bahamian cruises out of Port Canaveral. If you’ve been dreaming of a cruise, you could consider adding one of these short sailings to your next Walt Disney World vacation. Any Oceaneer Band will work, including those from a previous sailing and from any cruise ship. There may still be some content that is exclusive to the Disney Dream once it sails after dry dock. – A Disney Cruise Ship vehicle for the 3.0 characters to ride in. – The Walt & Mickey statue that the regular Disney World theme park MagicBands unlock. – Cruise Ship Door – By walking through this door you can get to a cruise ship interior, that looks like a ship’s atrium. You can then customize it with your very own touch. There are numerous customization choices including things like the chandeliers from the Disney ships. You will need an Oceaneer Club Band in order to unlock the Disney Infinity 3.0 content once you arrive home. This has brought forward even more questions & I plan to try to do some deep investigation in the very near future. Where and how do you get the Oceaneer Club Bands? The bands are put on children that check into the Oceaneer Clubs. If you plan to keep the band after you leave the cruise ship, you will need to pay $25, each band, to bring bands home with you. What about people sailing without children, can we purchase Oceaneer Club Bands? I will be investigating this question and filling in the answer soon. I can imagine that Disney would offer a way for everyone to purchase Oceaneer Club bands. They know that their Disney Infinity market includes people of all ages. Will people be able to purchase extra Oceaneer Club Bands? Will the Oceaneer Bands from Disney’s other ships be able to unlock the special Disney Infinity content? My best guess is that the content is currently exclusive to the Disney Dream bands bought after the ship returns from dry dock. I don’t doubt that in the future all of the Oceaneer Club bands will unlock some DI content, but I have no official word on this right now. Do you have more questions about the new DI content on the bands? Post them in the comments below & I will do my very best to answers for you. My name is Melissa and I am your friendly travel agent. It costs nothing extra to book your next cruise through me over booking through Disney and you get all of my planning services free. I have sailed on 3 out of the 4 Disney Cruise Ships and have enjoyed every minute of it! It would be an honor for me to help you plan your next Disney Cruise and it all starts with a free quote. Contact me for more information or visit my website and fill out a quote form.